This lactation room is located on the first floor next to Women's room. Each campus nursing room also has a log book to facilitate room coordination with other users. Signng up in the log book does not "reserve" a pump for one staff memeber's use alone. More than one staff person may need to use the room during the same time slot. It is important to communicate about overlapping schedules and to respect th needs of other users. If you need more log sheets for the rooms, or have any wuestions please contact Staff & Family Programs at the contact information below. The private lactation rooms, which are spread across the University and Health System campus, require prior registration for room access, which is granted through an approved DukeCard ID. 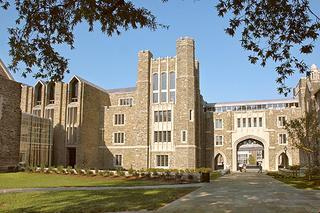 The rooms are open to Duke faculty, staff and students, who must schedule time in a room in advance.